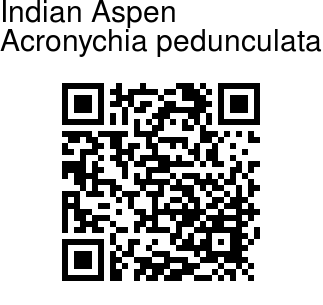 Indian Aspen is a large shrub or small tree of the understory, gaps and fringes of low country and lower hill tropical forests of tropical Asia. Leaves are elliptic to subolong, often with tapered base. Twigs more or less angular, hairless. Flowers are greenish white, borne in axillary corymbose panicles, about 14mm across in inflorescences of 4-24 cm wide. The fruits are cream to brownish yellow drupes, slightly angled, 0.5-1.5 cm in diameter with a short apiculate tip. 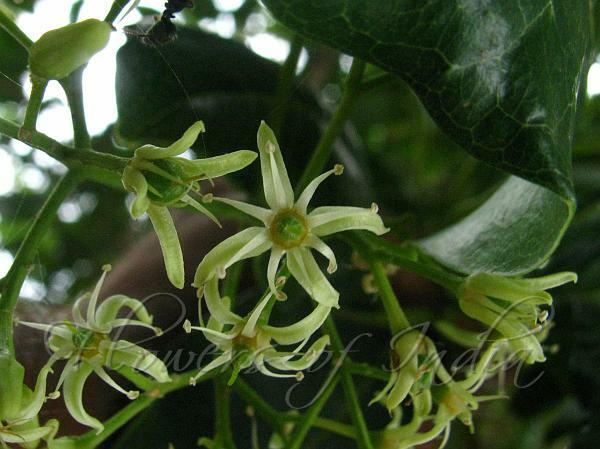 Leaves and fruits, and other parts of the plant, contain aromatic oils with a resinous scent. Flowering: February-April, July-August.